This experience will help your child…grow from a teenager into a young adult. Gain hands-on experience in the field of wildlife, fisheries, and natural resource conservation. See the career opportunities available to them by engaging with more than 20 of the best professionals in the field of conservation. Improve their ability to communicate with others especially on topics related to conservation of our natural resources. Build relationships that will benefit them as they move forward in their path from high school to college to career. “WLA transformed an interest I had at a young age into a passion that I want to pursue as a career. Connecting with the instructors and completing my outreach gave me the confidence and skills that have helped to motivate me thus far.” Academy Alumi, Jackie R.
An official document that acknowledges their time spent on community outreach. A certificate that designates them as a Conservation Ambassador. The opportunity to earn College Credit. Apply to return to the program the following year as a youth mentor tuition free. Attend a professional wildlife or fisheries conference. Attend college visit days to schools that have wildlife and conservation programs. Join an Academy Alumni Network of over 100+ wildlife, fisheries, and conservation professionals. How does your child apply? The Academy seeks referrals each year through a nomination to apply process. Once your son or daughters is nominated they will receive an invitation to apply by mail. 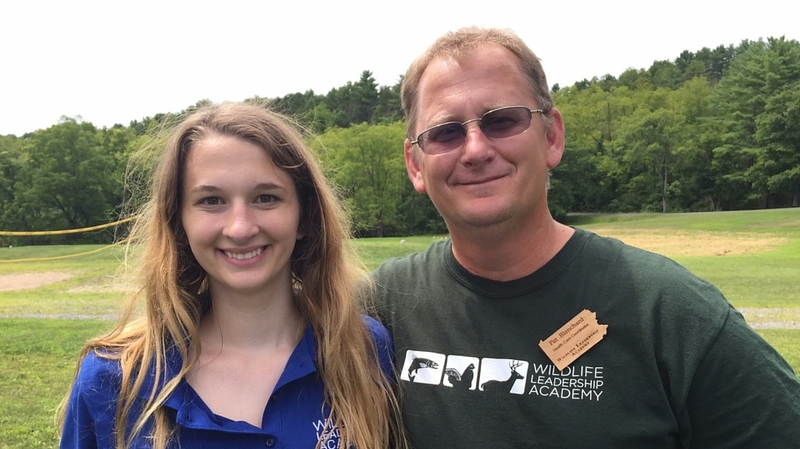 Youth applicants may be nominated by an adult who knows them well but is not a relative (teacher, school counselor, Envirothon advisor, employer, youth group leader, etc.). Please feel free to share the link to the nomination page with your child’s mentors. LEARN MORE ON THE NOMINATION PAGE. We would love for you to get to know us better by joining our mailing list where you will receive monthly updates via our “MATTERS” e-newsletter highlighting our students and stories as well as updates about the Academy. We hope that you will see that is our goal to empower all of our students to make a difference on behalf of our natural resources as Conservation Ambassadors and also to support them as they grow from high school to college to career.